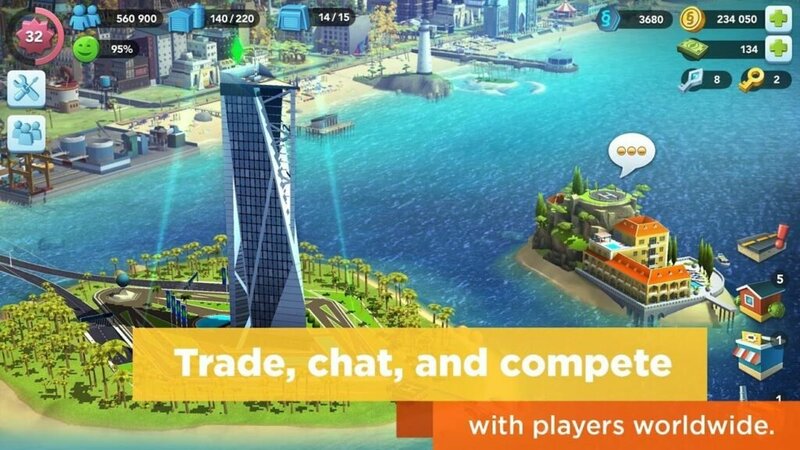 Popular game, SimCity BuildIt can be played on a Windows or Mac computer system using this guide. 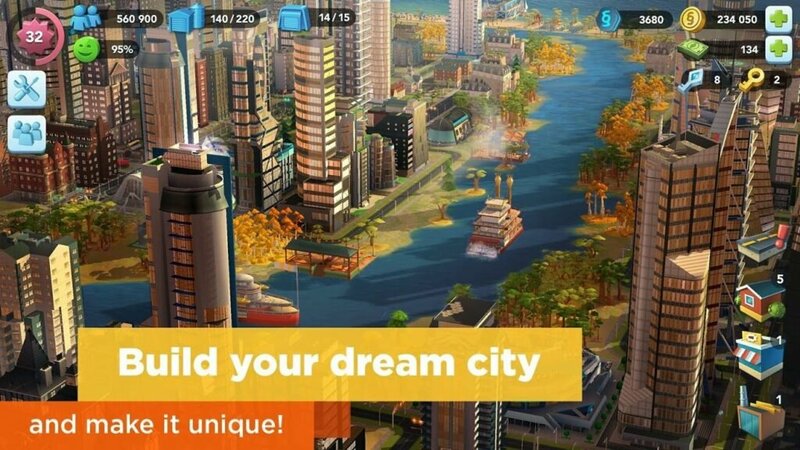 SimCity BuildIt is the latest game in a series celebrated for letting gamers seat themselves behind the mayor’s desk. No training in urban planning? No background in politics? No problem! Anyone can put a house anywhere they like in SimCity. That said, SimCity BuildIt is less complicated than its older kin. Given it’s intended for quick, bite-sized mobile play sessions that’s not necessarily a bad thing. 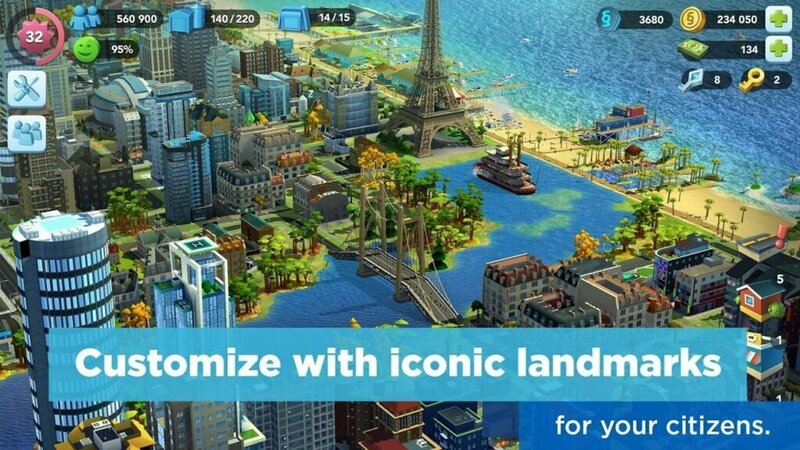 Whereas traditional SimCity games tend to encourage players to plan in square patterns, SimCity BuildIt is about lines. Houses and industries are built along streets, and so are most of the utilities that keep them running. There’s no mucking around with pipes and power lines, which is nice for anyone playing on a tiny phone screen. You start out with a couple of residential zones, which are where your sim population make their homes. You don’t have to pay for these, or for roads, but you can’t place more until you’ve earned them by levelling up.Industrial plots follow soon after. And rather than mere workplaces for your populace, these ones actually make stuff. You can allocate each to make a mixture of iron, wood, and plastic.There are also shops you can strew about your burgeoning metropolis. These generate things like more tools and raw materials. As your city grows, you’ll need more and more of these items to upgrade plots to the next level. You start off the game easily, with a few pieces of land where you need to place a city, and then you start expanding the small town into a large metropolis by adding things such as resource generation buildings, residential areas as well as industrial ones.Once you create the city however, you need to manage it, and this is where the game shines. In this Android game, you have the opportunity to upgrade your buildings and purchase utilities, city services as well as factories that will make the city safer and, in the end, more complete.Just like in real life, the people that live in your city will need resources and lots of things such as garbage disposal, electricity and plumbing. These necessities need to be provided as fast as possible, otherwise parts of the city will shut down. This is one of the things we liked a lot in SimCity BuildIt, and that is the ability to make decisions which influences your city and runs it in a certain direction. With our procedure you can run SimCity BuildIt on a full fledged laptop or desktop system. Our tutorial works best with Windows 7, 8, 8.1 and 10. As for the Mac side, these emulators support recent OS X and macOS versions. Thanks to latest emulators and efficient techniques, you can expect this game to run easily on any recent Windows or Mac machine. Further, if you have a game oriented emulator – the ones we use – you will get maximum performance and frame rates. 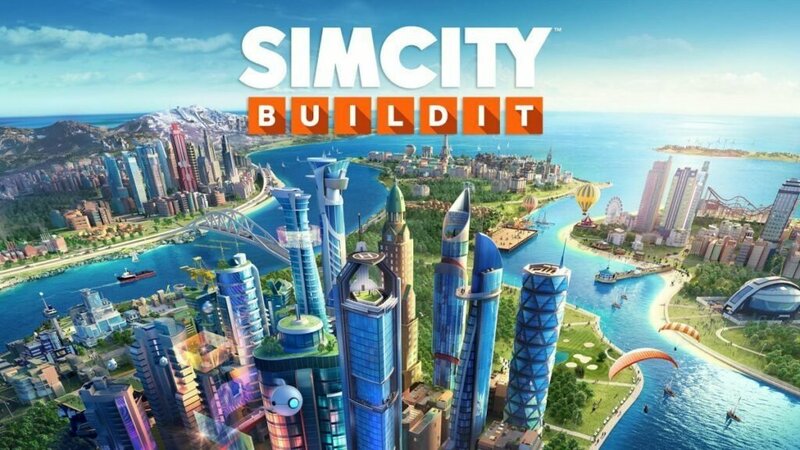 Follow these steps below to download and play SimCity BuildIt game on your computer. Remember, the following steps are for both the platforms – Windows and Mac. Step 8 – After installation, SimCity BuildIt icon will appear in the My Apps section and a shortcut will be added on your desktop. For those interested, you can also play other popular Android games on your PC. We have a few recommendations here: Asphalt 9 Legends, PUBG Mobile, CSR Racing 2 and Rules of Survival. Drop a comment if you are having any trouble we will be much happy to help.